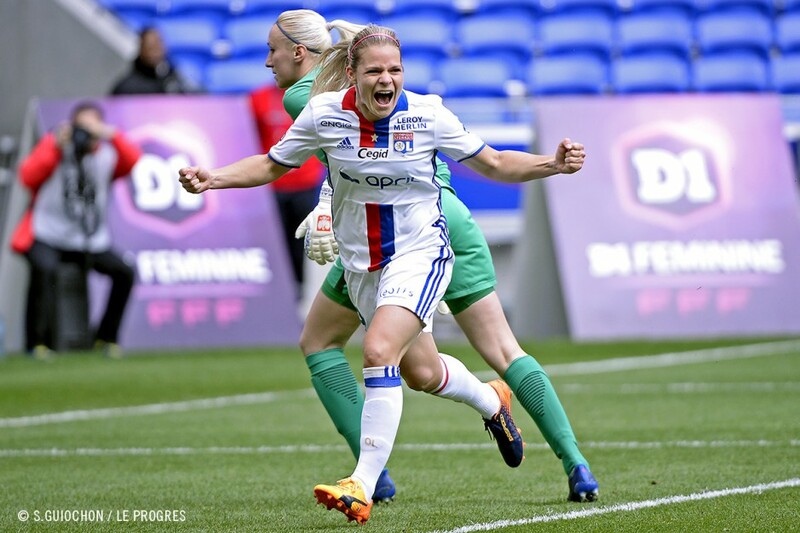 On Saturday, OL women trounced PSG at the Parc OL (3-0) in week 21 of the league. 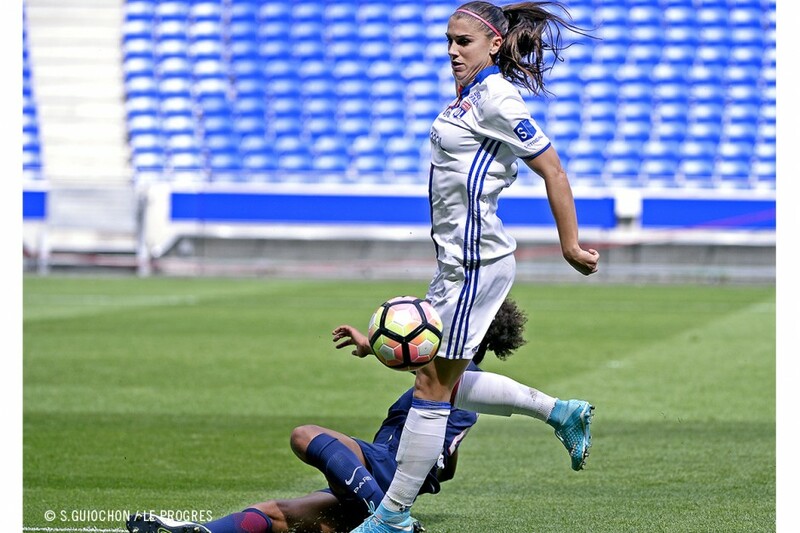 It’s a win that bodes well for the finals of the Coupe de France and the Champions League, which the injured Alex Morgan may miss. 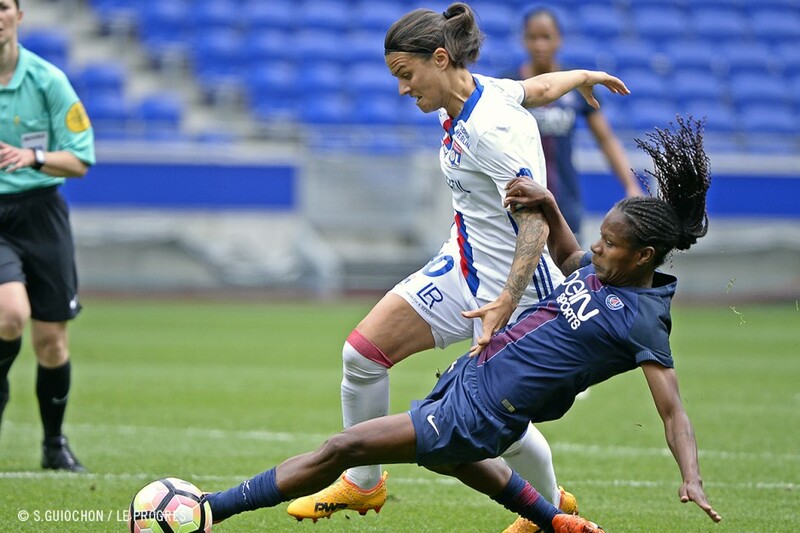 OL women defeated Paris Saint-Germain on Saturday at the Parc OL (3-0). 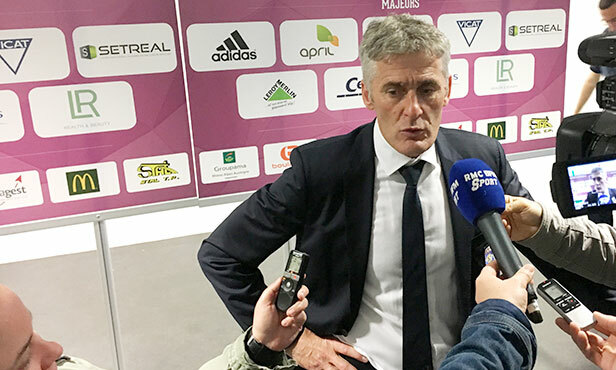 At the end of a fast-paced match, Gérard Prêcheur’s players won the first of three encounters with the Parisiennes in this final stage of the season, including the final of the Coupe de France on 19 May, then the Champions League final on 1 June. 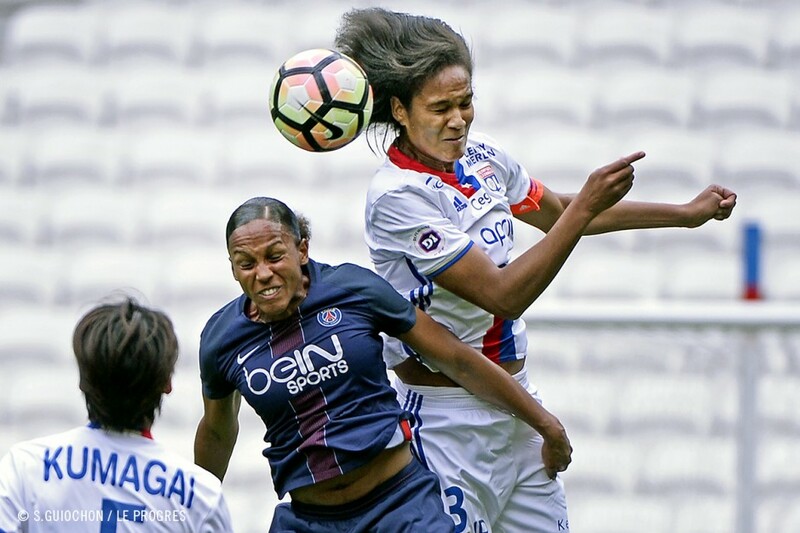 Despite having secured the title last week against Soyaux, this hosting of PSG was still cause for some concern for OL, who were out for a bit of revenge after having lost 1-0 in the reverse fixture earlier in the season. And their motivation to get a result was soon demonstrated. 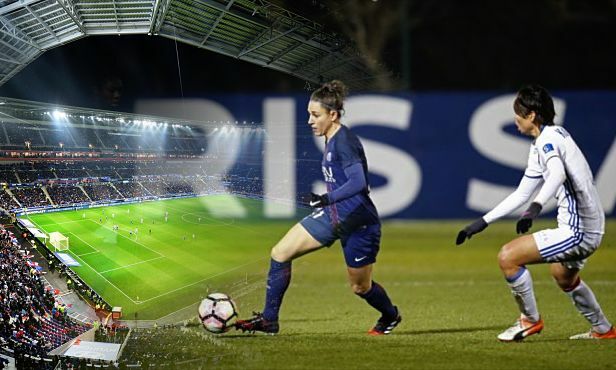 Supplied by Kumagai, Le Sommer cut through the Paris defence with a mesmerising slalom run before slotting past Kiedrzynek (1-0, 13’). Then, latching onto a beautiful long pass from Morgan, Hegerberg and Le Sommer capitalised on a two-on-one scenario against Paredes and all the Norwegian international had to do was slot home (2-0, 27’). 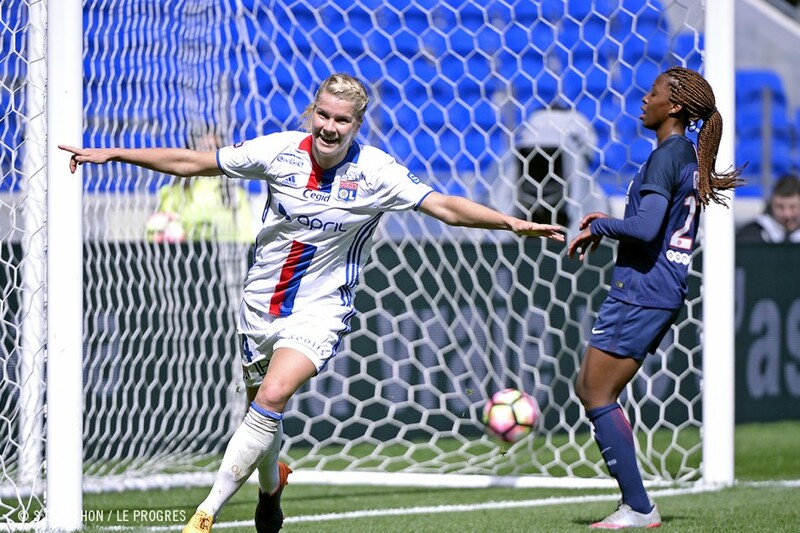 Having set up the second Lyon goal, Morgan then found herself at the finishing end of a third, scored after a sublime passage of team play (3-0, 28’). 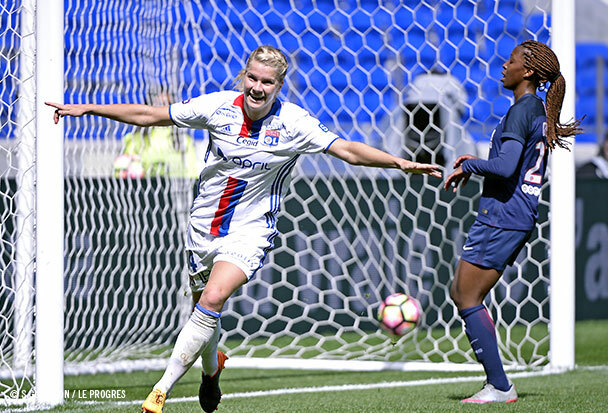 It was the American’s first goal at the Parc OL, who had to leave her team mates a few minutes later because of a hamstring strain (41’). 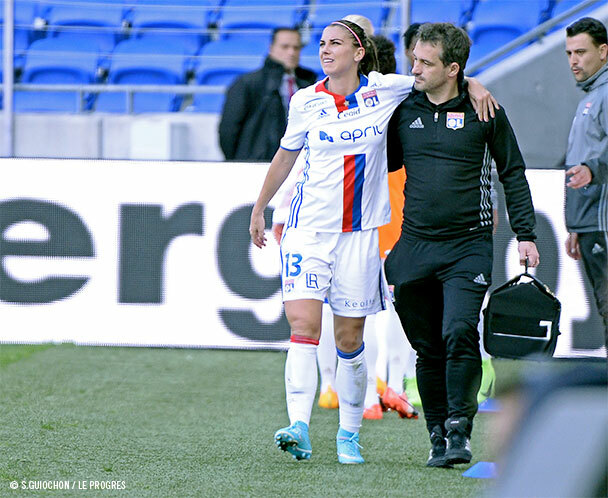 Morgan’s injury is a harsh blow for OL given the significance of the upcoming matches in the run-in to the end of the season, including the two finals against Paris. But the early departure of the Lyon number 13 didn’t really change the nature of this encounter. OL maintained their dominance while Paris sat back and suffered. 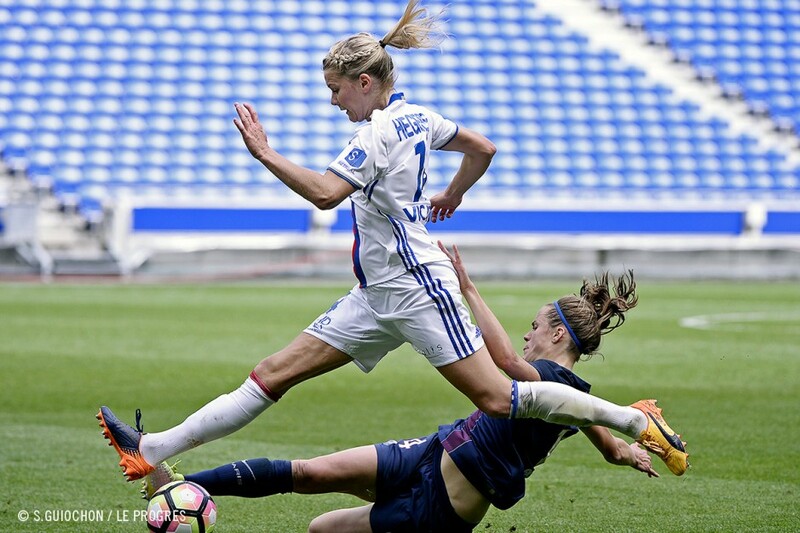 Her replacement, Thomis, went extremely close to taking her turn to beat Kierdrzynek with a shot across the face (54’) and went just as close to playing an assist for Hegerberg (70’). The Scandinavian goalscorer also had a one-on-one chance at the end of the match (82’) but missed the opportunity to stretch the scoreline before the final whistle. 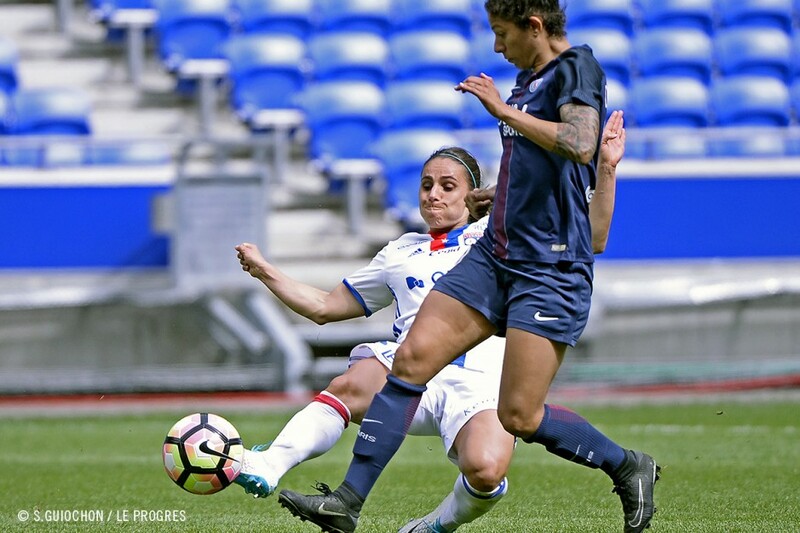 Regardless of the score, the OL women came out big winners in this first duel against Paris Saint-Germain (3-0). Gérard Prêcheur’s team mastered their opponent and showed their dominance on the national stage against their main challenger. 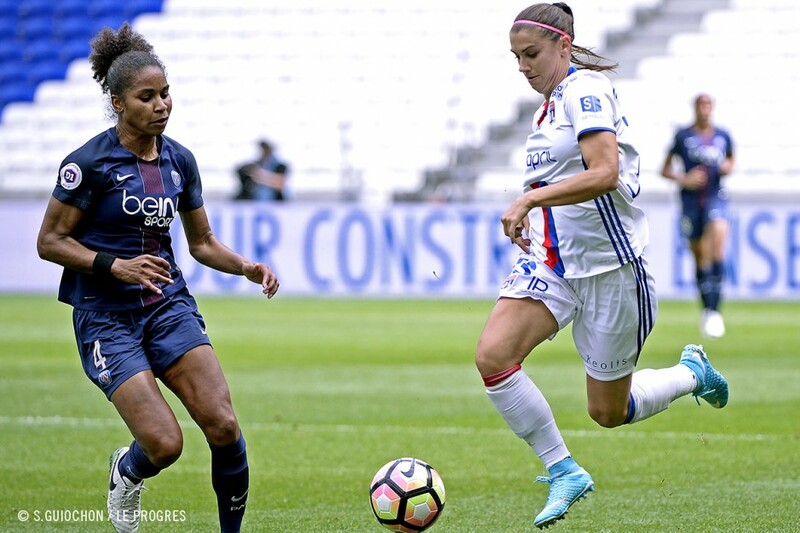 Although tarnished by Alex Morgan’s going off injured, it was a big performance that OL women will try to replicate next match in the final of the Coupe de France and the Champions League in a bid to close the season on a high. 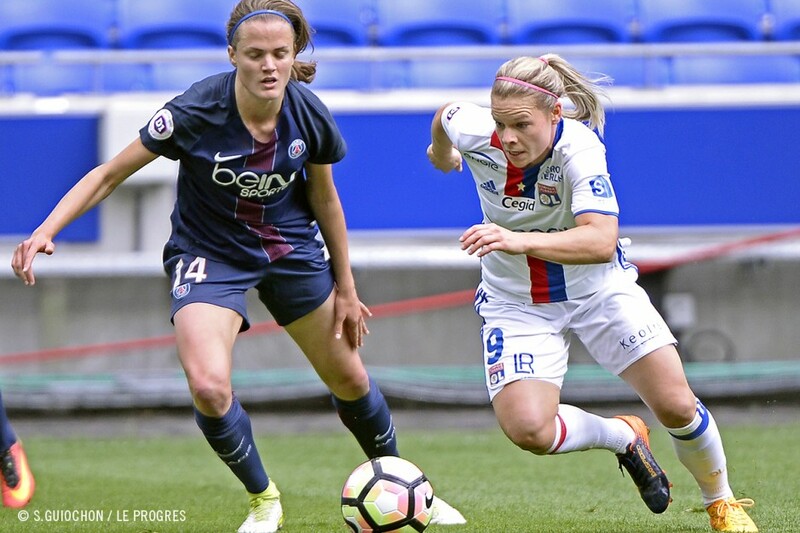 Retrouvez le match OL féminin - PSG en intégralité dans l'Hebdo Féminin, ce lundi, dès 15h15 sur OLTV. 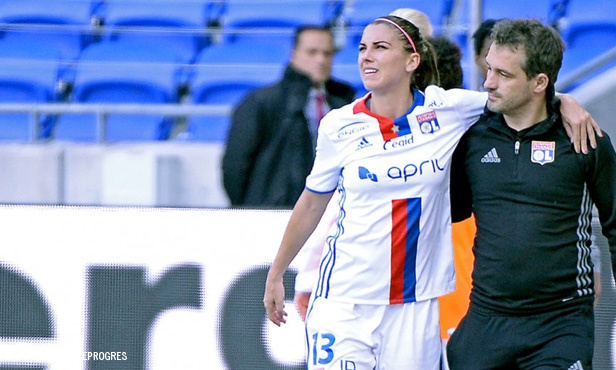 Referee: Florence Guillemin. Attendance: 7913. 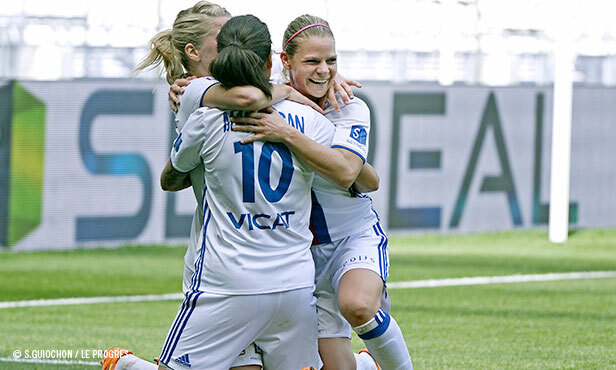 Goals: Le Sommer (13’), Hegerberg (27’) and Morgan (28’) for OL. Yellow cards: Delannoy (18’), Cruz (59’) and Geyoro (87’) for PSG. 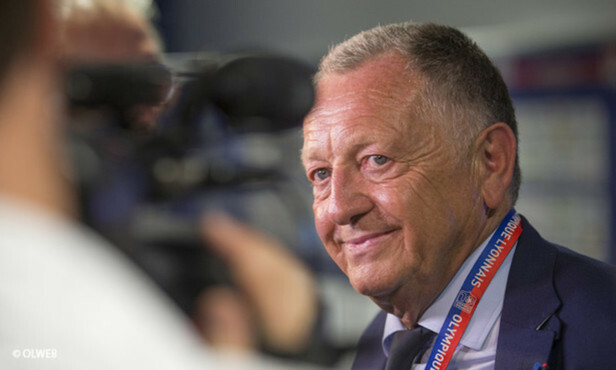 Jean-Michel Aulas : "Je pense qu'Alex Morgan va rester à Lyon la saison prochaine"